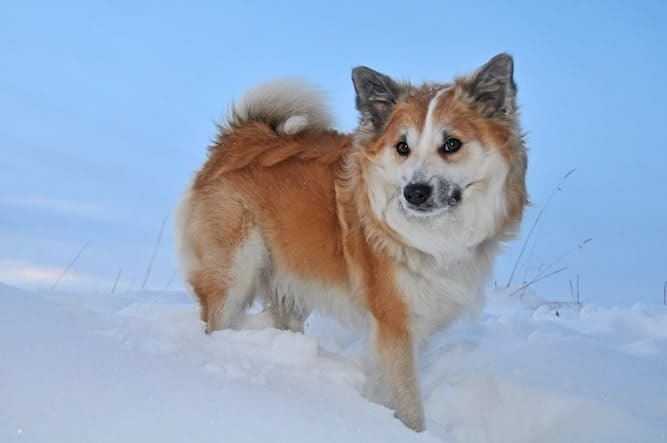 The only breed to originate from Iceland, the Icelandic Sheepdog temperament is inquisitive, energetic, and cheerful. It’s believed that Vikings brought their ancestors to Iceland in the 9th century. The breed was used to protect flocks – particularly lambs – from prey. Nicknamed the “Icie”, the Icelandic Sheepdog is a fairly rare breed in the United States today. Icelandic Sheepdogs are known for their warm and friendly personality. Don’t be surprised if the Icie wants to be friends with everyone they meet. They greet every person they meet in hopes of making a new friend. 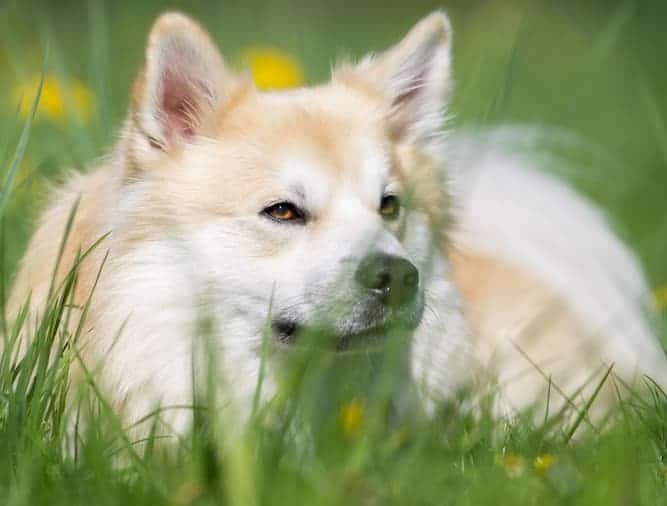 Like their heritage, the Icelandic Sheepdog still loves to watch – and bark at – birds in the sky. Icelandic Sheepdogs are infamous for their barking. They’ll bark to alert their humans of anything they hear or see. Therefore, they may not make the best apartment dogs. The Icelandic Sheepdog is alert and outgoing – but they are not aggressive or pushy. Icelandic Sheepdogs are very social and love to be around people. In fact, Icie’s do exceptionally well with children. They are patient and gentle, making them an ideal family pet. They don’t do well being left alone for long periods of time and as a result, can develop separation anxiety. The Icelandic Sheepdog doesn’t have a strong prey drive as they weren’t bred to hunt and kill but rather control and protect. Therefore, the Icie gets along well with other dogs and pets. 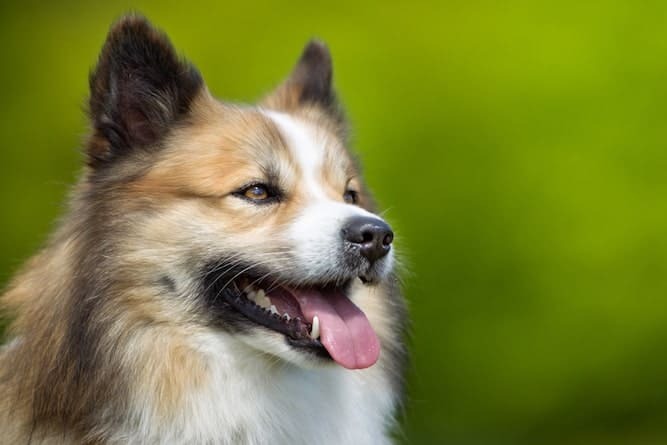 The Icelandic Sheepdog is an extremely intelligent and willing breed. They are quite easy to train thanks to their “eager to please” attitude. Because they are so smart and enthusiastic, you should always present them with training that challenges and stimulates them. Otherwise, they’ll become detached and bored. Keep training sessions short and ever-changing. Try rotating their activities every few days to keep them happy and alert. Icelandic Sheepdogs do not respond to harsh or negative training methods. Always use positive reinforcement training to get the most out of your sessions. If you are up for the fun and challenge of training your Icie then check out Doggy Dan's – The Online Dog Trainer. There you will find tons of dog training videos and expert training tips. If you’re ready to add this lively family dog do your pack, it’s time to find the perfect one. First, consider your lifestyle. Icelandic Sheepdog puppies are cute, but do you have the time to train and socialize a puppy? Puppies need constant supervision and if not trained properly, will grow into rowdy adults. If you don’t time for a puppy, consider adopting an adult through Icelandic Sheepdog rescue. Adults do not require constant supervision and often have a foundation of basic training. 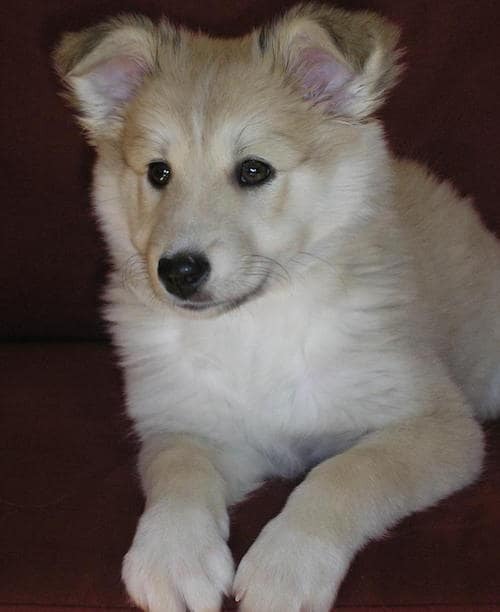 Purebred Icelandic Sheepdog puppies for sale from a breeder will cost between $800-$1000. The Icelandic Sheepdog price depends on location, breeder availability, and bloodline. Puppies from a champion bloodline will be far more expensive than those without. Icelandic Sheepdogs for adoption will cost between $200-$500, depending on the rescue organization as well as location. Don’t assume Icelandic Sheepdog rescue is only for adults. You can easily find Icelandic Sheepdog puppies for adoption through the National Icelandic Sheepdog Rescue Alliance. Not only are you able to find puppies available for adoption, but you can also find Icelandic Sheepdog mixes available. While there are dedicated Icelandic Sheepdog rescues, contact your local rescue or shelter and ask if they have any available. 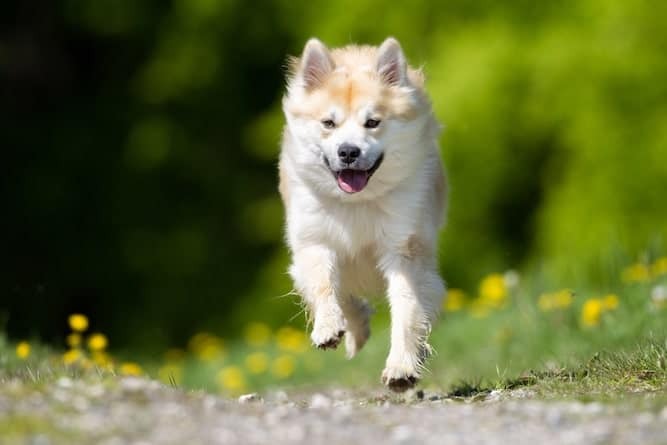 If you’re ready to add a puppy to your family, you can find Icelandic Sheepdogs for sale through the AKC Marketplace as well as the Icelandic Sheepdog Association of America. Both websites have the option to search for Icelandic Sheepdog breeders based on location and gender. The AKC Marketplace also allows you to search based on bloodline and litter availability. Choose several breeders you’d like to visit and prepare a list of questions. Ask about the litter’s temperament as well as any known health conditions. A reputable breeder will always provide a health certificate and be able to answer any question you have about the breed. 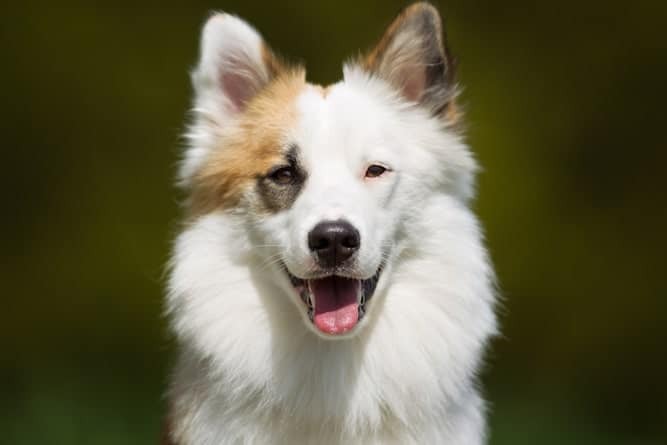 Breeders should also ask you questions to determine whether the Icelandic Sheepdog is the right breed for you. Take your time choosing the right breeder to make sure your new Icelandic Sheepdog puppy is the perfect fit. The Icelandic Sheepdog size is medium; males stand at about 18” while females are 16.5” tall. They weigh between 25-30 pounds and live between 12-14 years. Icelandic Sheepdogs have an ample coat. Their outer coat is long while their undercoat is dense and short. Expect the Icelandic Sheepdog to shed quite a bit – especially during shedding season. Icelandic Sheepdogs require weekly brushing – daily brushing during shedding season – to remove dirt and loose hair. Trim their nails regularly to avoid painfully overgrown nails. Note: Few things are more important than our Health. It's no different with our Dog's Health. Some visits (and Money) to your Vet can be avoided if only we know what to do when our dog is ill. The Ultimate Guide to Dog Health is the answer. No dog owner should be without this handy guide. It's not a substitute for your Vet but help you quickly understand and recognize symptoms before they become a serious problem for your dog. Icelandic Sheepdogs are a fairly active breed and require moderate exercise. They make perfect companions for active families, especially those who enjoy long walks or hikes. Daily moderate exercise – such as walks, jogs, or games of fetch in the backyard – will keep the Icie happy and healthy. 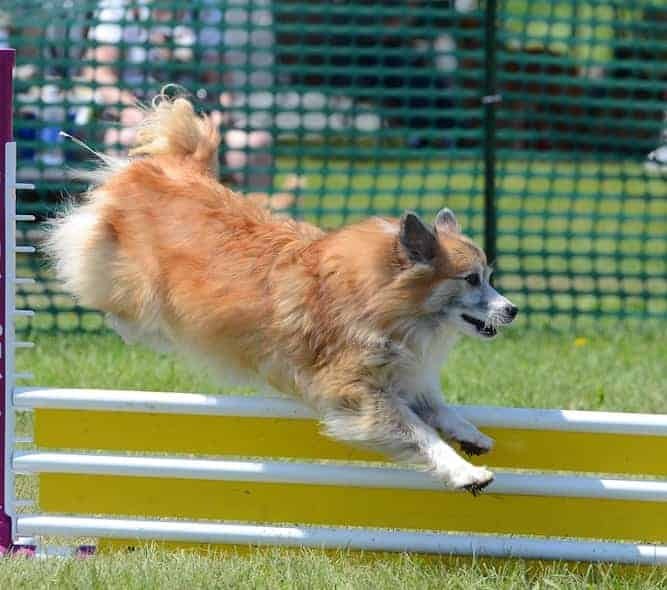 The Icelandic Sheepdog also excels in dog sports such as herding, obedience, tracking, agility, and rally. Conclusion: Why the Icelandic Sheepdog? The agile, inquisitive, and cheerful Icelandic Sheepdog makes the ideal family dog thanks to their love for almost anyone. Expect your Icelandic Sheepdog to greet everyone they meet with a smile and don’t be surprised if you find them playing with children for hours on end! This is a fairly active breed that does well with an equally active family. During shedding season, the Icelandic Sheepdog needs extra grooming, but during the off-season, only require weekly brushing. If you’re looking for an energetic, hardy, alert family dog, the Icelandic Sheepdog is perfect for you. Next post: Belgian Sheepdog Temperament (Intelligent, Active): Are You Up for the Challenge? Previous post: How To Make The Most Of The Skye Terrier Temperament (Intelligent, Fearless, Friendly)?